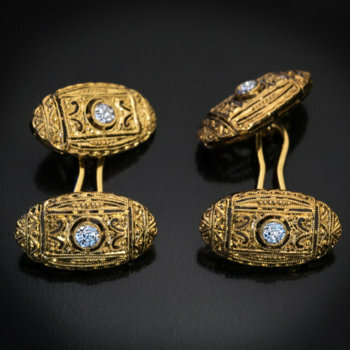 A pair of Russian Imperial era double cufflinks of a tourbillon design by Faberge. 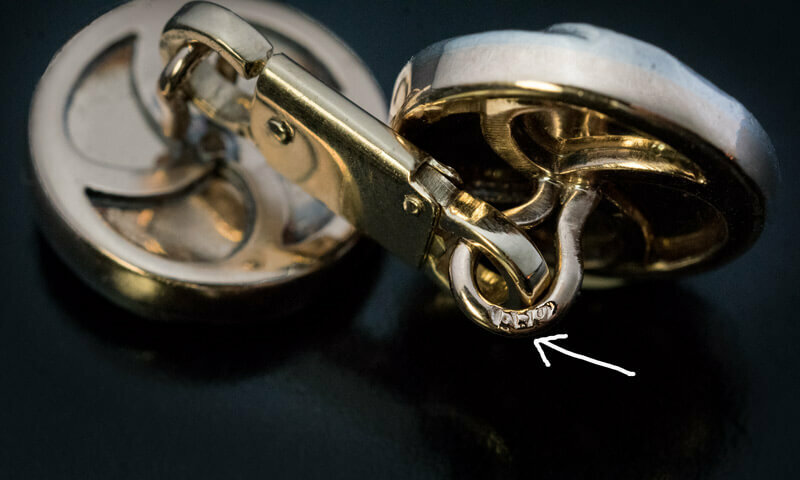 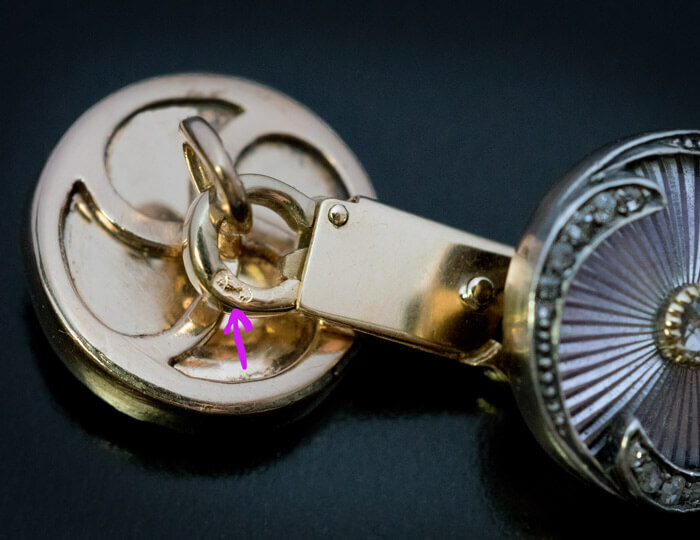 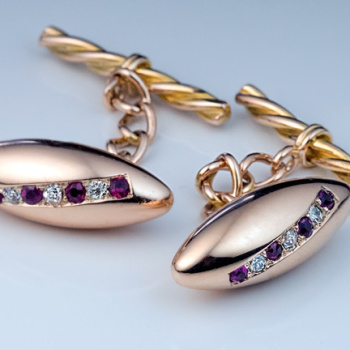 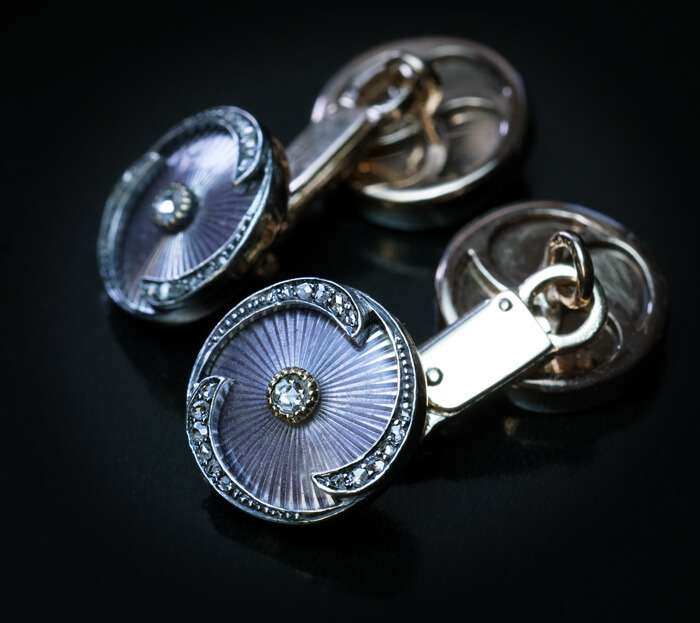 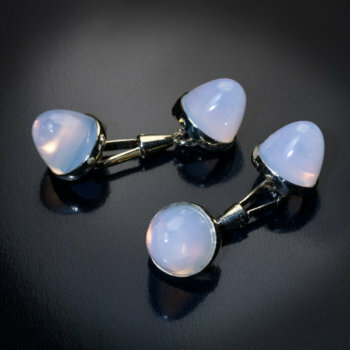 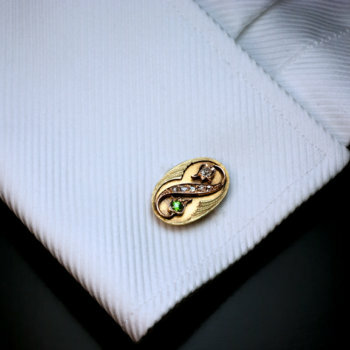 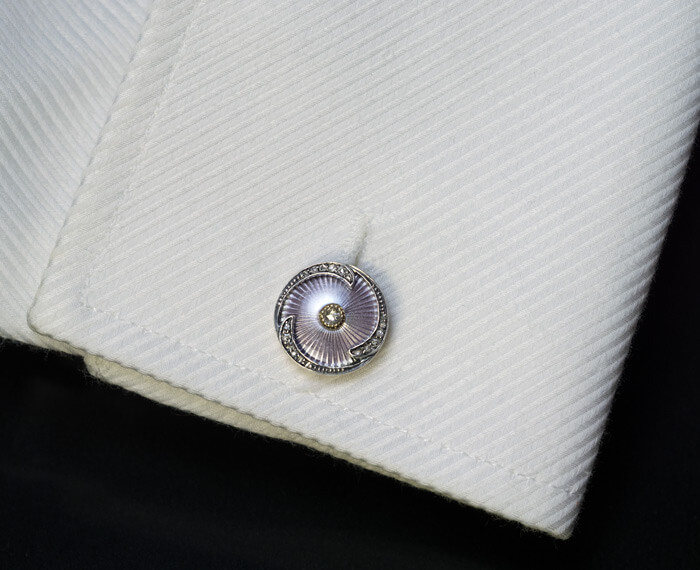 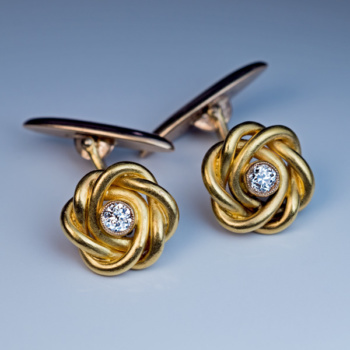 The cufflinks are crafted in 14K gold and silver and are covered with a very fine quality guilloche enamel of a pale lilac color accented by rose cut diamonds. 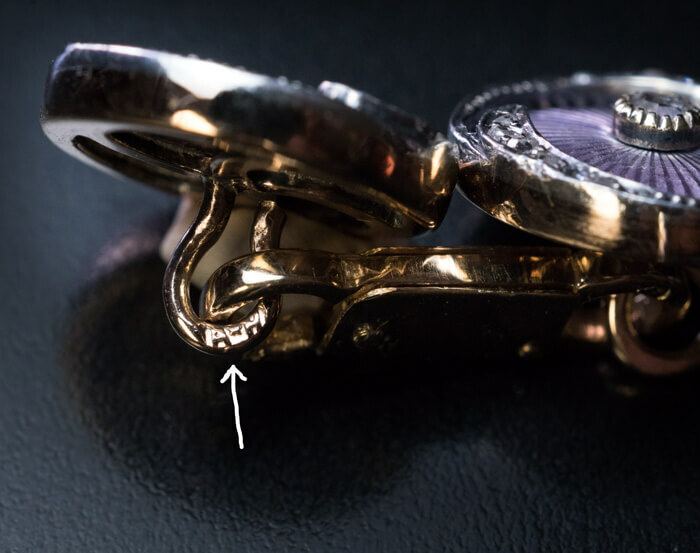 Each enameled disc is marked on loop with initials “A*H” for Faberge’s workmaster August Hollming (1854-1913). 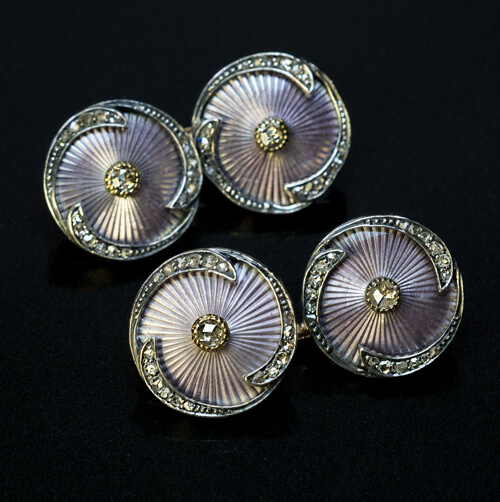 This pale lilac color guilloche enamel is typical for objects made at August Hollming’s workshop. 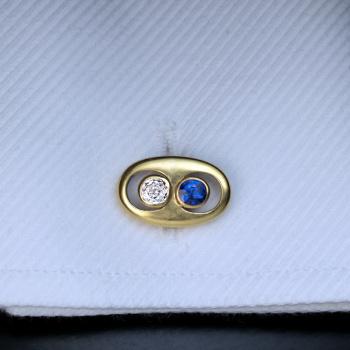 Originally, the enameled discs were almost certainly connected by gold chains which were later (in the 1920s) replaced with flat crab links. 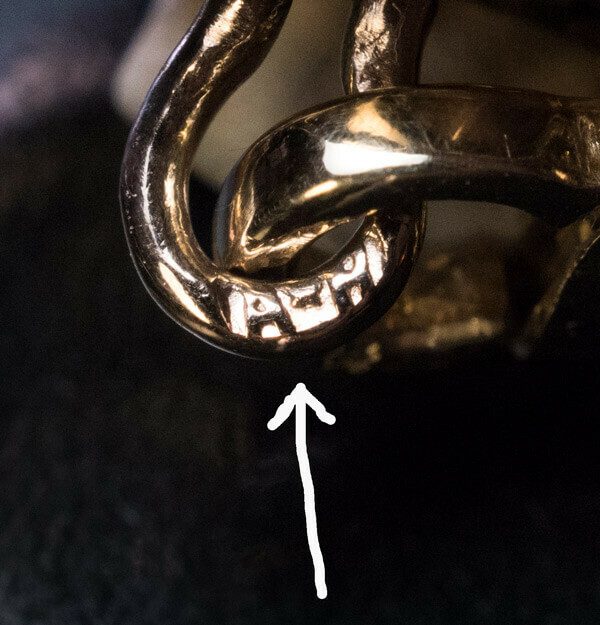 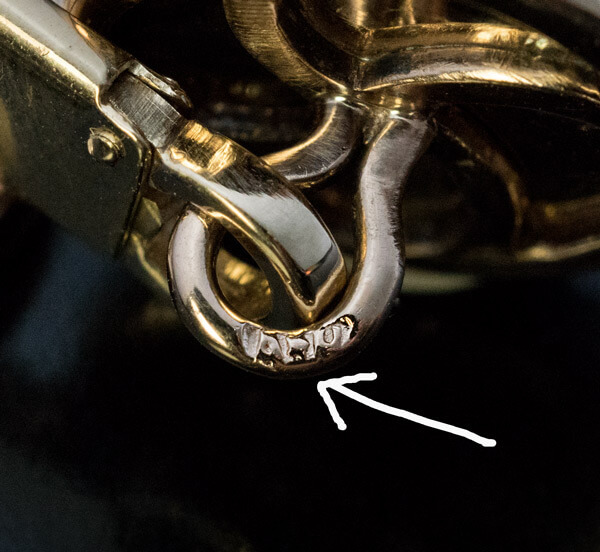 The replacement links are marked with 1922-1925 Austrian bear-shaped assay mark.